The Divi Theme user base and community is growing fast with the continued success of Elegant Themes and their star theme, Divi. With over 280,000 members at Elegant Themes, there are a now a lot of people who are sharing ideas, code, designs and learning from each other online. Divi users not only get awesome support from Elegant Themes, but there is now a wide range of 3rd party Divi Theme websites and resources around the web from Divi developers, designers and enthusiasts. Below is a rundown of Divi Theme resources I have come across. There are more resources out there, so if you own, or know of any not listed, please leave a link in the comments. Thanks. Please note, affiliate links are marked with *. You will not be charged any extra if you purchase using these links. Divi Theme Examples – This site showcases 1800+ examples of live websites using the Divi theme, along with Divi layouts, child themes, plugins, tutorials, news and reviews. Divi Theme documentation * – This is the place to start if you are new to Divi. Elegant Themes Support Forum * – The official Elegant Themes support forum for paid ET members. Elegant Themes Youtube channel – Videos for everything ET and Divi. Elegant themes on Facebook – Elegant Themes official Facbook page. Divi 2.4 Tutorials – New features explained in this cool blog series. Divi Theme Examples – A Facebook group for Divi Theme Examples and Divi support. Divi Theme Help & Share – A Facebook group for Divi users. Divi Theme Users – A Facebook group for Divi users run by Elegant Marketplace. 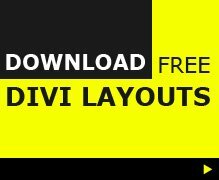 Divi Layouts Directory – Search, browse, favorite and download all the best layouts available for Divi. This is the most up to date and comprehensive directory of Divi layouts available. WP Theme FAQ * – From the creator of Divi booster, this site also offers code tutorials you can implement yourself. Quiroz Blog – A collection of Divi tutorials and articles. Divi Magazine – A collection of Divi tutorials and articles. Divi plugins directory page on Divi Theme Examples list all the free & premium plugins from Elegant Themes and 3rd party developers . Divi Plugins Directory The Divi Plugin directory lists all Divi plugins is a searchable Woo based directory. 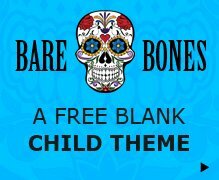 Child themes directory page on Divi Theme Examples – Find all the child theme options for Divi on the Divi Theme Examples child theme page. Divi Designer/developers for hire – A list of Divi specialists.